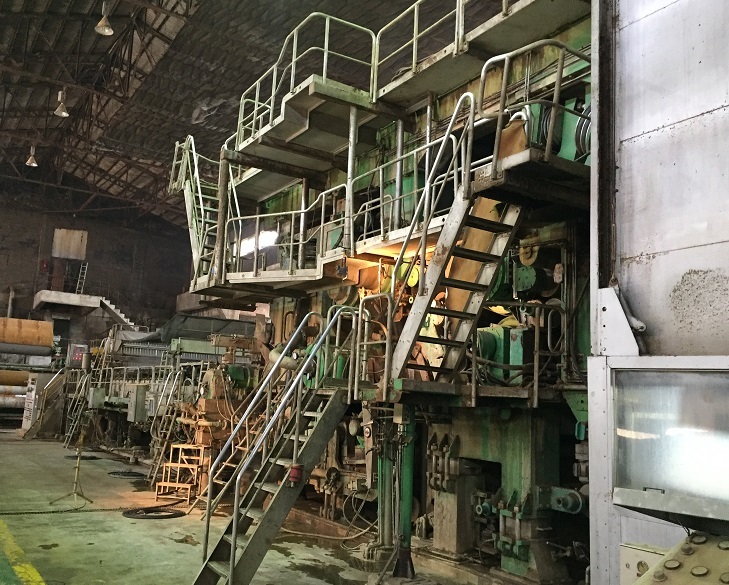 Voith Paper machine, year 1981 -­‐‑1999, paper width 3830mm, grammage range 70 to 135 gsm, PM 6 production was about 160.000 tons/year, coated papers 49 to 135 gsm, speed 900 to 1020m/min. Deckle 4520mm on slice. Design speed 1200m/min. Drive on left from flowbox year 1999, Voith MasterJet model FB with dilution and profile control. Voith wire section, stainless steel, cantilevered wet end, Voith Duo shake unit 1999. Voith DuoCentri, former, tail cutter, suction cantilevered suction couch, suction pick up roll. Three press sections: two are Esher Wyess Nipco presses with Kuster rolls. A total of forty-­‐‑seven dryers with diameter 1500 mm, pre-­‐‑dryers in five sections. Scanner with moisture control. 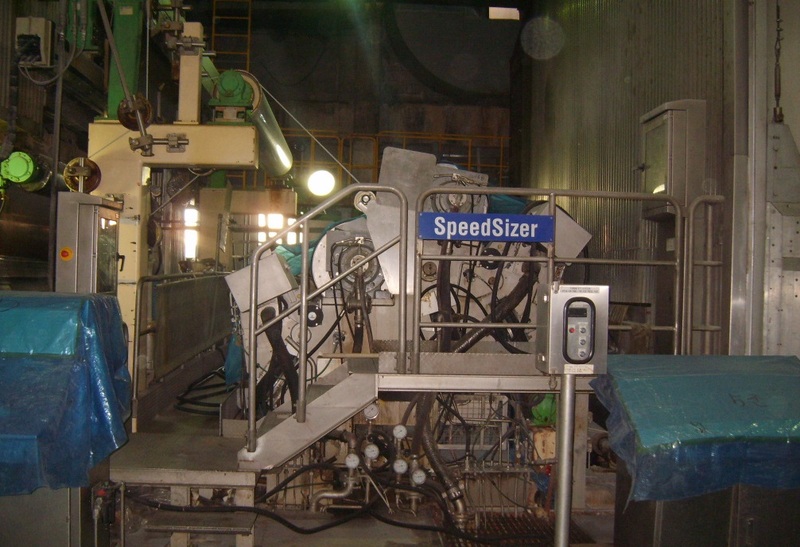 Voith 1994 jet flow speed coater/size press applying 16 to 18 gsm coating.